Remote countryside, unsophisticated minority people, colorful ethnic dress, unique folk customs, peculiar styles of architecture, traditional bazaars, livestock markets and many others, all make Guizhou a mysterious, charming land. Traveling to Guizhou is not just for sightseeing, but a way of approaching and experiencing the real life of the locals. 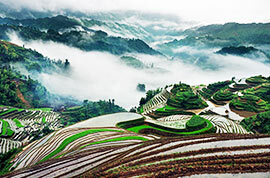 You will surely be fascinated with our Guizhou tours. What to expect in Guizhou? 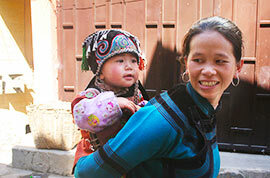 Guizhou is home to 48 China's ethnic groups, second only to Yunnan, each of which has developed their own unique customs and cultures. Among them, Miao and Dong minorities are the two biggest groups in Qiandongnan Autonomous Prefecture. Start your journey from Kaili and onward, you will see villages of different minorities one after another and marvel at the amazing off-the-beaten-track natural sceneries. 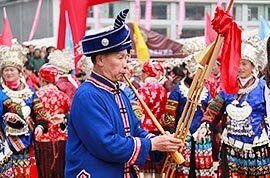 Besides, many traditional festivals are celebrated among different ethnic groups each year, which attract a lot of travelers from far away. 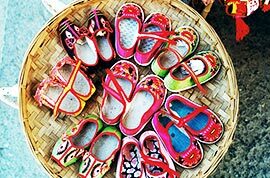 When a festival is held, they dress up, prepare a lot of festival food and celebrate it with rich activities, such as singing, dancing, trading and all kinds of competitions. 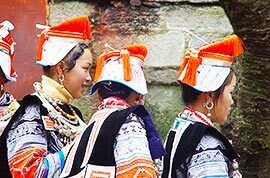 It will be quite interesting if you take our private guided tours to Guizhou and try on their traditional dress and join them like a local. What is the best time to visit Guizhou? The climate in Guizhou is often mild and moist, neither extremely hot nor cold. 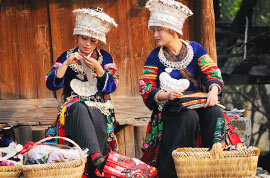 Although the best time for taking Guizhou tour packages is in late August, spring (March-May), summer (June-August) and autumn (September-November) are all wonderful seasons for sightseeing as well as for experiencing the traditional festivals, like Sanyuesan Festival and Sister's Meal Festival in spring, Liuyueliu Festival in summer, and the Shui New Year Festival in autumn. The best seasons for visiting Huangguoshu Waterfall in Anshun are summer and autumn when the scenery is the most splendid. The best way to get to Guizhou for a Guizhou tour itinerary from Beijing, Shanghai, Xian and other cities in China is by flight. If you prefer to have a look at the landscape along the way, taking a high-speed train is a good choice as well. How to Get to Fanjing Mountain National Nature Reserve ? 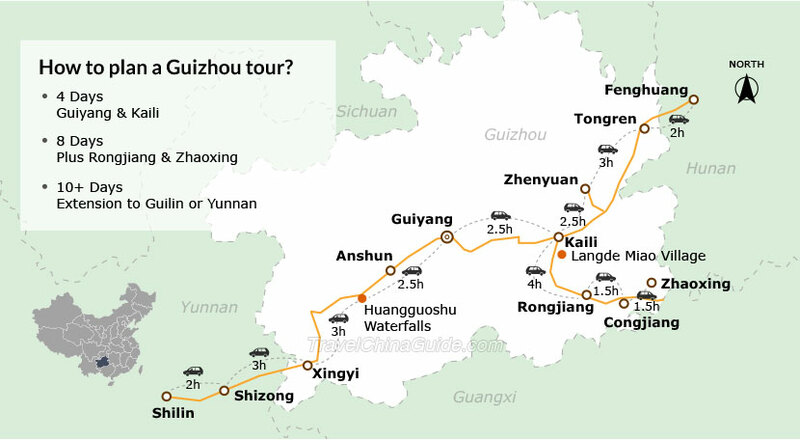 What is the best way to get to Tongren and the Fanjing Mountain National Nature Reserve ? You can arrive at Tongren by flight or train first. If you take flight, you will arrive at Tongren Fenghuang Airport, and there are direct shuttle bus from the airport to Fanjing Mountain National Nature Reserve. The ticket fare is CNY 50 per person. If you intend to get to Tongren by normal train, you will arrive at Tongren Railway Station. Upon arrival, walk to Tongren North Bus Station opposite the railway station and take the shuttle bus which will take you to Fanjing Mountain. The charge is around CNY 30 per person. Besides, you will reach Tongren North Railway Station if you take a high-speed train. In Tongren North Railway Station, there is also a tourist bus that head for the scenic spot, and the fare is CNY 56 per person.